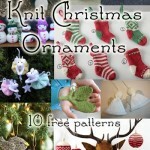 Recently I had a request for a tree topper roundup – and so I went on a search. 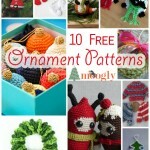 Alas, I didn’t find very many free tree topper patterns at all. Not nearly enough for a roundup. But what I *did* find was a whole chorus of Angels – including a tree topper! My daughter has quite a collection of angel ornaments from her grandmother, and I have a few lovely ones that have been given to me as well – and they make me smile every year. 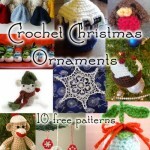 Well, I can take a hint – here’s 10 free crochet Angel patterns! 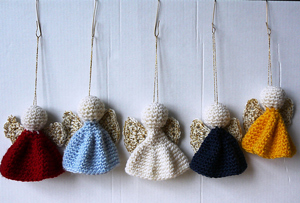 Quick and Easy Christmas Ornament by Roswitha Mueller, on Ravelry: This angel ornament has found a place on many a list this season! 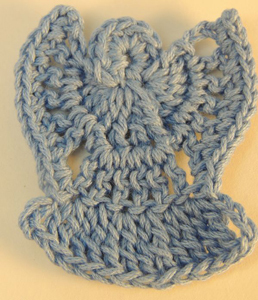 An angel pattern that’s great for even beginning crocheters. 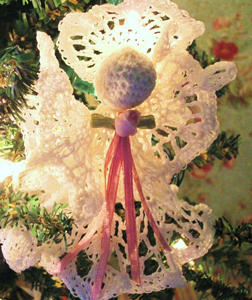 Tree-Topper Angel by Patons, on Yarnspirations: Be sure to check out the Ravelry gallery page for some lovely photos – the one on the pattern doesn’t do it justice! 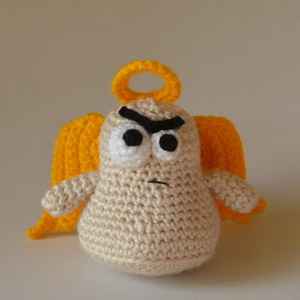 The Cranky Angel by Kim Lapsley, on Kim Lapsley Crochets: So cute, and so cranky! For a little different take on the whole holiday business. Angel Bell by LemonTreeDesigns, on Squidoo: Simple, quick, and lovely. 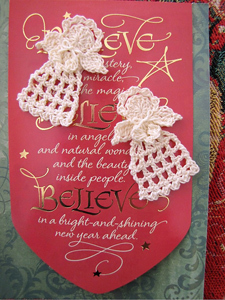 Victorian Vintage Angel Christmas Ornament by Tammy Swallow, on Tammy Swallow.Hubpages: Nostalgic and beautiful! 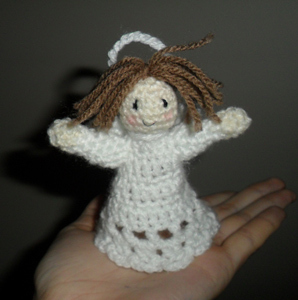 Tiny Christmas Angel by Elizabeth Ann White, on BellaCrochet: Only 2.5″ tall, perfect for a little ornament or in a greeting card. 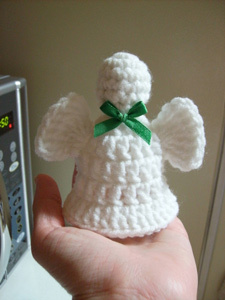 Christmas Tree Angel by Grace McMahon, on Ravelry: Isn’t she cute! Available in English and French. Angel Dishcloth by Christine Daugherty, on Craftown.com: A more practical angel, bringing holiday cheer to the kitchen (and maybe granting a wish for fewer dirty dishes?). 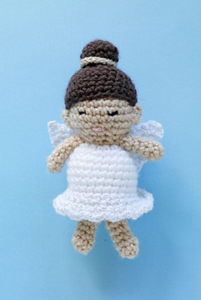 Cindy the Angel by Lion Brand Yarn: Wonderful as an ornament or as a gift for a special little one! 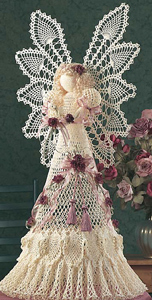 Heavenly Pineapple Angel by Jo Ann Maxwell: Alas, this pattern is no longer free! 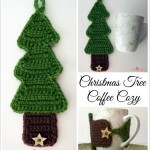 But it IS available for purchase on Annie’s E-Patterns Central! BONUS! Right before I published this roundup a brand new angle pin popped up! The Angel Pin by Kim Guzman can by whipped up in just 15 minutes, making it must-add for this list! 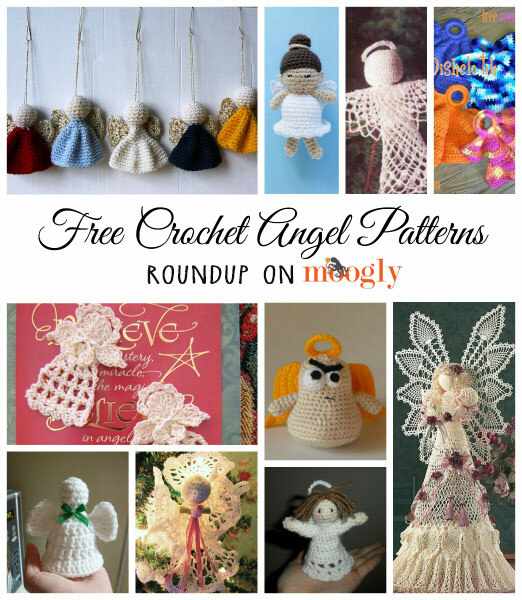 Hope you’ve enjoyed this free crochet angel patterns roundup! Do you have a little voice on your shoulder urging you to pick up your crochet hook? Which one is your favorite? Is there an angel pattern I missed? Add your thoughts and links in the comments! I tried to open the Heavenly Pineapple Angel and was unable to. This is the most beautiful angel I have ever seen. Is there any way I can get this pattern? Oh no! It looks like it is not currently available anywhere. 🙁 I even tried the internet archives in the Wayback Machine but they’ve used robots to exclude it from the archives. I’m so sorry to see it disappear! With any luck maybe they’ll debut it somewhere new soon! Red Heart offered this a few years ago as a free pattern and I snagged it. I forgot all about it until now, I wonder if I have time to finish it?? Thanks for reminding me! I am currently working on the Heavenly Pineapple Angel. I have the pattern booklet–kept it for many years before finally attempting the project! If it is out of print, would I be allowed to scan and email or post the pattern for public use? I don’t want to break any copyright laws, but if it is no longer available, I thought there might be allowances. Hi Kay! I’m afraid copyright holds for 70 years, so I’m afraid it’s still illegal. Hi Kay: Are you finding that there are errors in the pattern? I have run into a couple of places where there are problems ( one in particular is a big error) and had to figure out the pattern on my own. 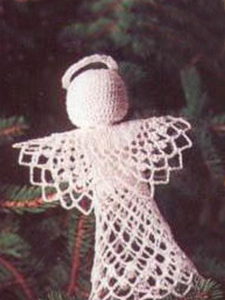 I’d kill for the heavenly pineapple angel tree topper pattern! I can’t even find anywhere to buy it let alone free! That does seem to be the closest substitute! Thanks Cheryl! 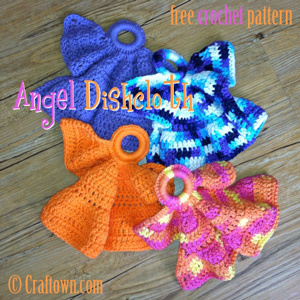 The pineapple angel pattern is available for $1.00 on e-patterns central and is perfect for intermediate-level crocherers! If you follow the Vintage Angle instructions, the results are nothing like the picture. For one thing, that picture is not size 3 thread. Next the instructions do not give a ruffled shirt and they do give a solid torso. I’ve not gotten to the wings yet, but don’t think I will continue. Instead I think I will use the photo to make it on my own. Over a year ago someone ask that the correct pattern be posted, but it still has not happened. Unfortunately, it was taken down and it has not resurfaced.